How to watch Diary of a Big Man (1988) on Netflix Taiwan! Yes, Diary of a Big Man is now available on Taiwanese Netflix. It arrived for online streaming on December 28, 2018. 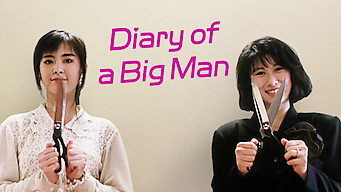 We'll keep checking Netflix Taiwan for Diary of a Big Man, and this page will be updated with any changes. A committed bigamist concocts an elaborate scheme to keep up his double life -- until his two wives cross paths. He's torn between two women and ties the knot twice. Now his two wives are about to double-cross him.